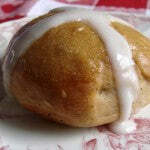 Hot Cross Buns are a traditional Easter-time yeast leavened bun. Unfortunately a good Hot Cross Bun can be hard to track down. 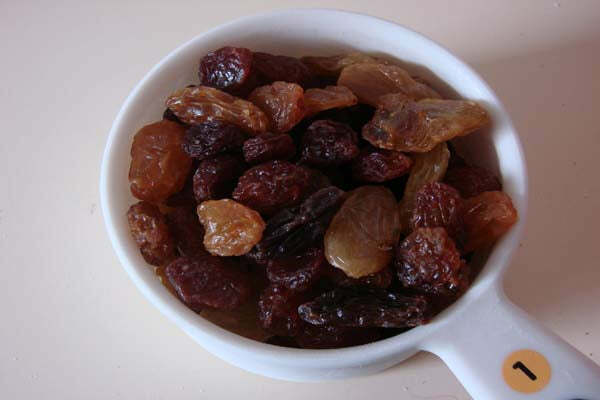 The ones you find at the store tend to be loaded with high fructose corn syrup, plenty of unpronounceable preservatives, and gummy dried candied fruit pieces best left to great aunt Millie’s fruitcake. My quest for a tasty Hot Cross Bun led me to the kitchen. 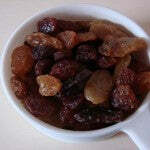 Out went the red and green dyed citrus pieces and in went plump mixed raisins and for a twist, peanut butter. 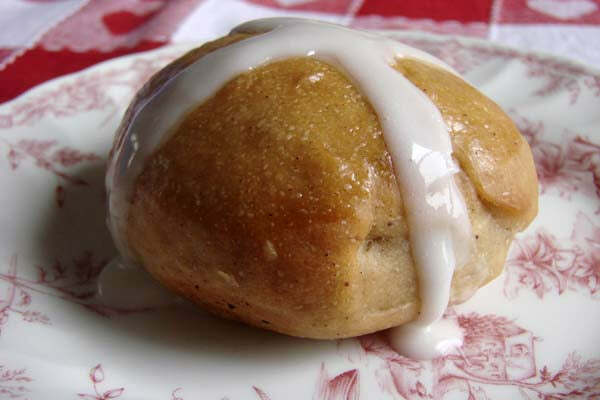 Fresh from the oven these buns are soft, sweet, and delicious and make for a perfect breakfast on Easter morning. 1. In a small saucepan heat milk until it’s approximately 100 to 110°F. Using a candy thermometer check the temperature, if the milk is too hot it will kill your yeast. If you don‘t have a candy thermometer, you can test the milk by dribbling a couple drops on your inner wrist. The milk should feel slightly warmer than lukewarm but not overly hot. 2. Pour warm milk into a medium bowl and stir in one tablespoon granulated sugar until dissolved. 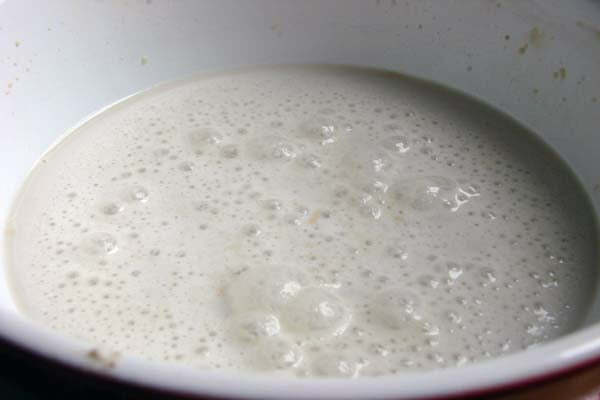 Slowly sprinkle yeast over the milk (you don’t want the yeast to clump together) and stir to dissolve the yeast. Let yeast proof for five minutes or until foamy. 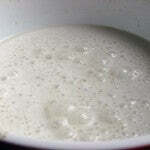 If yeast does not foam, then it is not active and you’ll need to start the proofing process again with fresh yeast. 3. 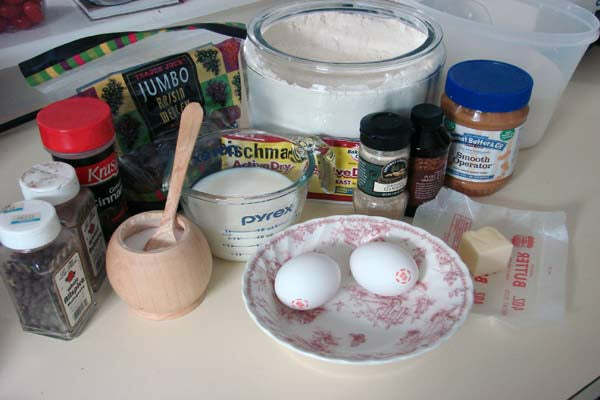 In the bowl of an upright mixer fitted with a dough hook, add flour, cinnamon, allspice, ginger, nutmeg, salt and the remaining granulated sugar. In a glass measuring cup, mix the Smooth Operator peanut butter with melted butter until well incorporated. Add butter and peanut butter mixture to the dry ingredients and mix on medium until well incorporated and small crumbs form. 4. In a small bowl lightly beat three eggs with two teaspoons vanilla. 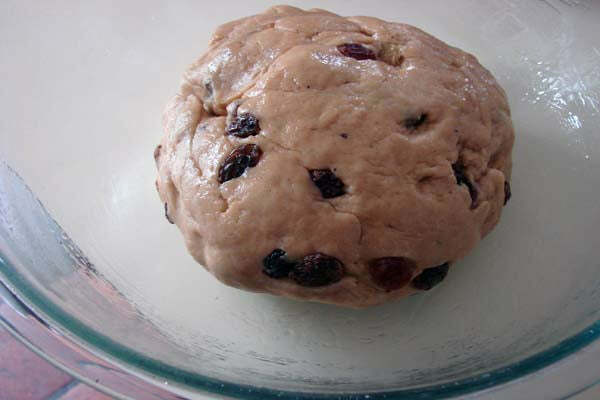 Make a well in the center of the flour mixture and add the proofed yeast mixture, egg mixture and raisins. 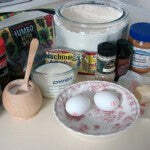 Mix ingredients on low until dough is formed then turn the mixer speed to medium to knead. Knead dough until springy and elastic, approximately ten minutes. Remove dough from bowl and turn out on a lightly floured surface. Knead by hand for a minute and then form into a large ball. Lightly coat large bowl with vegetable oil and place dough ball in the bowl. Cover bowl tightly with plastic wrap and put in a warm place until the dough has doubled in bulk, about 1 1/2 hours. 5. Cover two baking sheets with parchment paper. Remove doubled dough and cut in half. 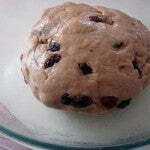 Turn the two dough balls out on a lightly floured surface, knead each lump briefly and form into two balls. Cut each dough ball into eight equal wedges. Form each wedge into its own ball and arrange seam side down on baking sheets. Cover the buns and let them rise in a warm place until doubled, about one hour. (If you are preparing this in advance you can store baking sheets with dough in the refrigerator overnight and let rise for one hour before baking). 6. While buns are completing their second rise, lightly beat an egg with a tablespoon of milk to make an egg wash. Preheat the oven to 400°F. 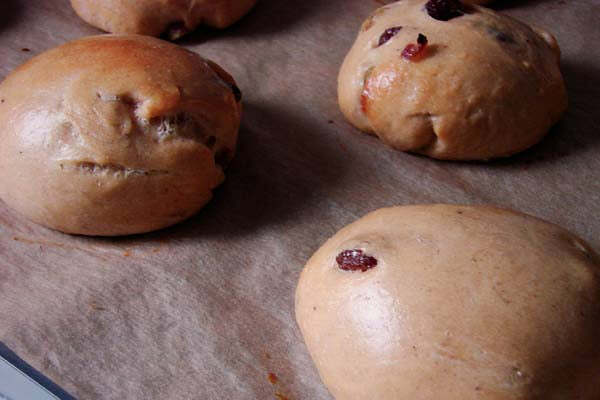 Once buns have fully risen, brush with egg wash. Bake in batches in the center of the oven for approximately 10 minutes or until golden brown. Transfer buns to wire rack to cool slightly. 7. While buns are cooling, whisk together confectioners’ sugar, one teaspoon vanilla, and two tablespoons milk to form thick icing. Thin with additional milk, if necessary. Spoon icing into a small Ziploc bag and snip the corner of the bag to create a quick and easy piping bag. 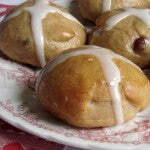 Pipe a cross on each of the cooled buns and serve immediately. Store leftover buns in an airtight container. 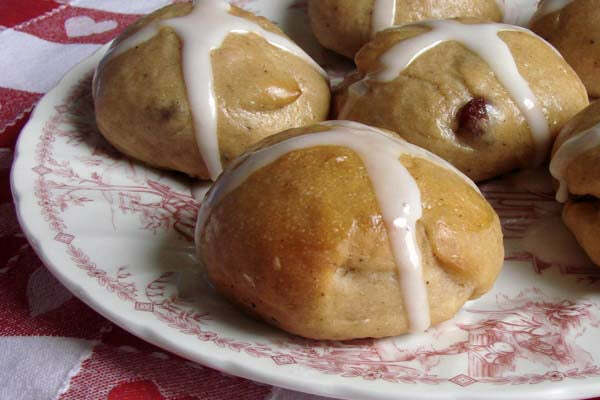 These buns are best enjoyed the same day they are baked. 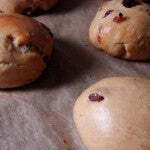 The post Peanut Butter Hot Cross Buns appeared first on - Peanut Butter & Co. Recipe Blog.